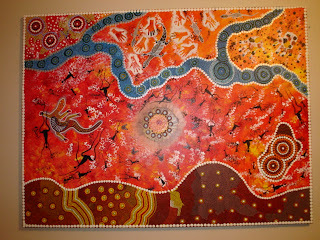 This painting tells the story of the river people. This painting has been sold and given as a daughters wedding present. Great Investment for daughter.